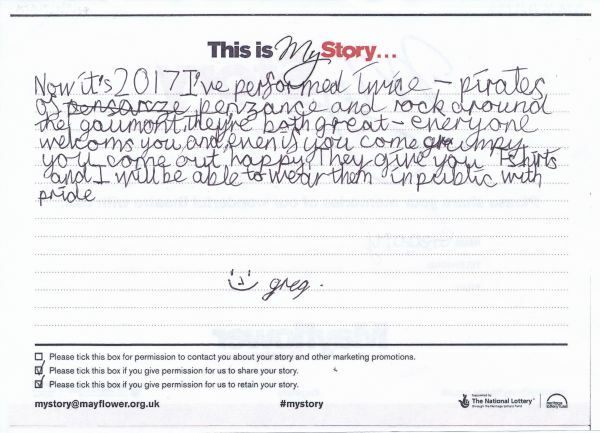 My Story card: Gregory Chant remembers performing in SYP and MMYT and wearing the free T-shirt with pride. Now it's 2017 I've performed twice - Pirates of Penzance and Rock Around the Gaumont. They're both great - everyone welcomes you and, even if you come grumpy you come out happy. They give you T-shirts and I will be able to wear them in public with pride.